The smell of gasoline and rubber rises from the world-class raceway overlooking the San Pablo Bay. I've been invited to join friends in a day of go-karting, that's all I know. Visions of the small, child-friendly tracks that accompany mini-golf courses dance in my head. Yet climbing the hill that overlooks Sonoma Raceway's two-and-a-half-mile road course and quarter-mile drag strip, it becomes obvious this is not child's play. One look at the immense go-kart track and the speeding roadsters hugging the curves tells me this is going to be a serious afternoon of speed. 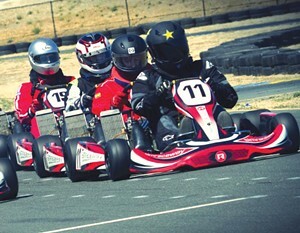 Simraceway Performance Karting Center boasts not only the largest go-kart track in California, it also features the fastest karts. For novices like me, there are Grand Prix go-karts available to rent for the day, at 25 bucks a pop. These karts, which are little more than four tires, a steering wheel and power-packed engine, will get you going at a teeth-clenching 45 mph. Everyone knows you can get excellent brew at Lagunitas, Russian River and Bear Republic. But when you don't want to wait or battle the crowds, there is an alternative. Fogbelt Brewing Company is making a name for itself on the craft-beer scene. Established a little over a year ago, the brewery and taproom is helmed by a knowledgeable duo of beer experts, Paul Hawley and Remy Martin. These two take inspiration from Northern California and the largest trees in the world that grow along its fog belt. The result: exceptional beers available by pint or taster served in a great location. Their flagship varieties include a rich stout, citrusy red ale, a classic IPA and a cilantro-lime Belgian wheat. Picture that beer paired with the awesome ambiance of artwork, fireplace and central bar with plenty of seats. Located in what could be described as a mini Barlow complete with a pizza joint, juice bar and winetasting room, Fogbelt is in good company. And free parking for all. 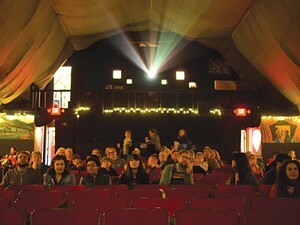 1305 Cleveland Ave., Santa Rosa. 707.978.3400.—Jessie Janssen.